Belts for Different Body Types. 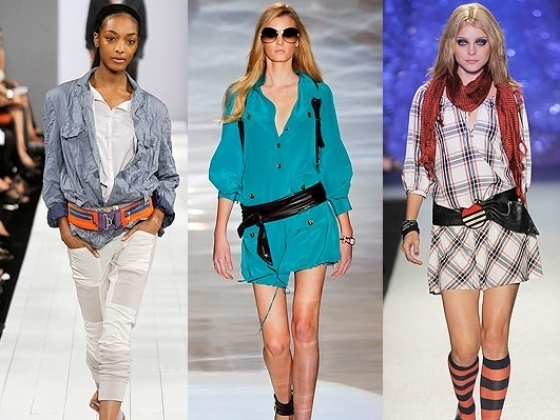 A belt is a stylish accessory that can transform even the most dull outfit making it stand out. Nowadays there are a lot of options when it comes to choosing the perfect belt but if you truly want a belt that will flatter your silhouette you must choose it according to your body type. As a general rule a medium sized belt about 1-2 inches thick is suitable for most body types. Women with long torso should wear 'skinny' belts whereas those with a short torso should choose wider belts. For long torsos the placement of the belt is essential: place your belt 2 inches below the navel. If you have a short torso try wearing a belt in the same color as your outfit to avoid to create to avoid segmenting your outfits. If you have pear shaped body your best bet is to wear a belt that emphasizes your waist. Avoid wearing large belts around your stomach area and choose a belt that has a width no larger than ½ inch. 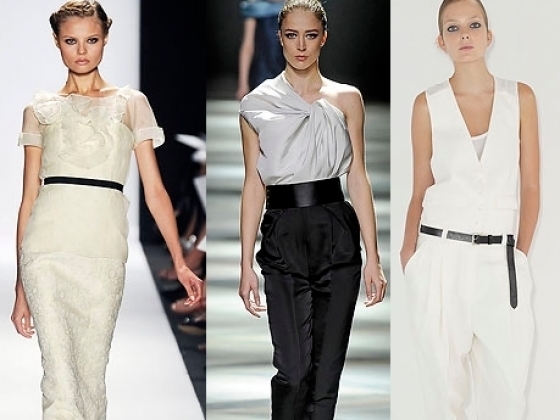 If you have a hourglass silhouette the best types of belts for you are monochromatic,thin belts. Dark colors work best for you so navy, brown, charcoal are a few good options. If you want to make your stomach look smaller a belt can be very helpful. 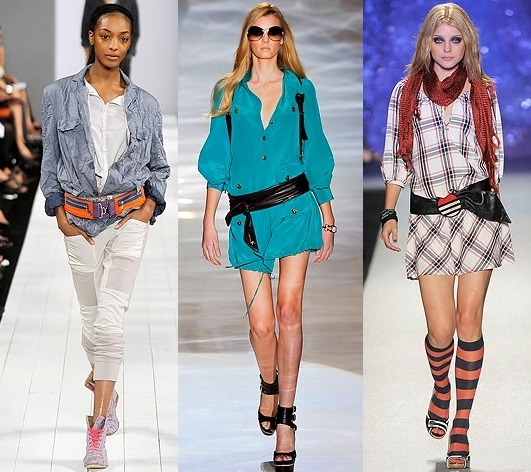 Depending what are your best features you can choose different styles of belts. If you have a rectangular body shape choose belt under your bust line as it make your breasts look bigger while drawing attention from your abdomen. A wide belt around the middle of the waist also has a slimming effect. Leather belts are a good choice and choosing dark colors will also flatter your figure as they have a slimming effect. To balance an apple-shaped figure we need to balance the mid section of the body. A medium sized belt worn below slightly below the waist . Avoid wearing a belt under your bust (empire style) and choose leather, quilted or studded belts. 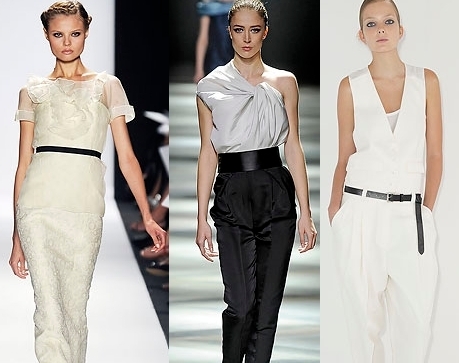 For an inverted triangle body shape a wide hip belt is the perfect accessory to compliment your figure. Women with this body type should avoid excessive detailing and should choose light colors light colors for their bottom half and and dark colors for their top half.